Creatine remains one of the most extensively studied nutritional ergogenic aids available for athletes. Hundreds of studies have reported that increasing muscle creatine stores through creatine supplementation can augment muscle creatine content, improve exercise and training adaptations, and/or provide some therapeutic benefit to some clinical populations. Consequently, creatine represents one of the most effective and popular nutritional ergogenic aids available for athletes. The future of creatine research is very promising. 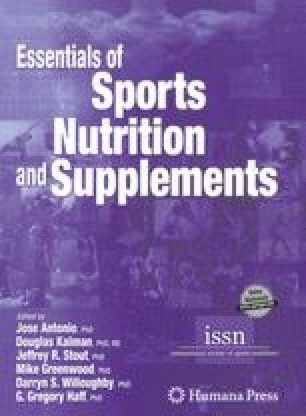 Researchers are attempting to determine ways to maximize creatine storage in the muscle, which types of exercise may obtain the greatest benefit from creatine supplementation, the potential medical uses of creatine, and the long-term safety and efficacy of creatine supplementation. Among these, the most promising area of research is determining the potential medical uses of creatine, particularly in patients with creatine synthesis deficiencies and neuromuscular diseases. Nevertheless, in regard to athletes, creatine has continually proved itself to be one of the most effective and safe nutritional supplements to increase strength, muscle mass, and performance. This is despite oftentimes inaccurate and misleading information that has been written about creatine in the popular media over the last several years.